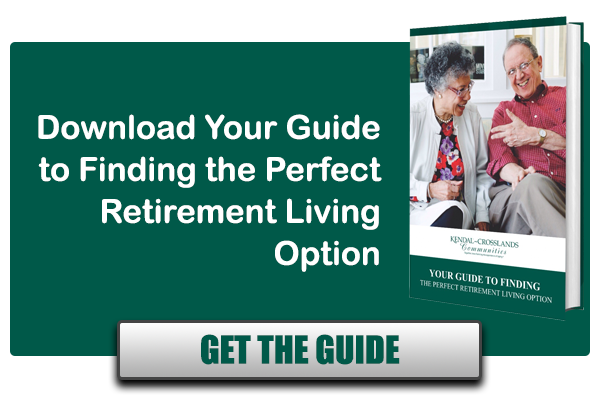 People approach retirement and retirement living options with different mindsets. Some people will declare they will never leave their current home and will stay there until the bitter end. Some people look for a “vacation every day” version of retirement, with nothing but free time and no obligations in sight. Others look at retirement as reason to finally travel, volunteer, and do things they spent years putting off, waiting for the time when they would have the freedom to do more of what they wanted to do, and less of what they HAD to do. They want to spend more time with family, and more time exploring interests, now that the regular 9- 5 grind is over. The common thread in all of these approaches to retirement is maintaining control and autonomy, and making your own decisions, for as long as possible. Retirement should be about independence and freedom, not about ceding control and decision making to others. 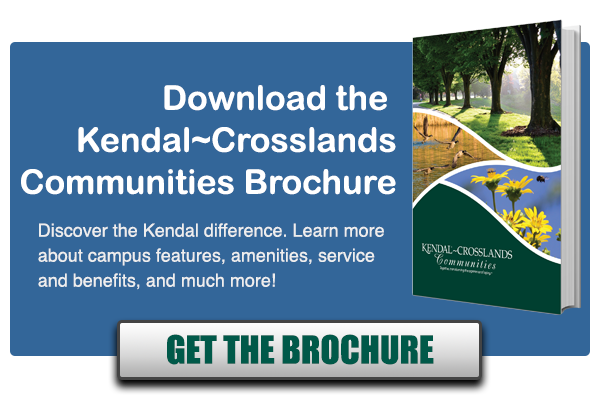 At Kendal-Crosslands Communities, we’ve understood that from the very beginning. When Kendal first opened in 1973, the goal was to transform the experience of aging, by allowing residents to make their own decisions, in a community, about what they wanted to do, who they wanted to be, what they wanted to explore, and more. While it is important to have high quality health care and amenities available, the driving force in decisions had to be the individual, and person-centered care was key. In our communities, the residents, through their Residents Associations, have each formed over 100 committees that organize everything from activities to art studios, service projects to running the gift shop, to operating and managing the resident’s website. There is no need for an Activities Director, because the residents do this themselves. While this might seem perplexing to some people, this structure has ensured that the programs always reflect what the residents want and are interested in, rather than the presumptions of others. This has worked well for over 45 years and counting! As you can see, the active Resident’s Association is key to life at Kendal-Crosslands Communities and it’s what really makes it feel like home. One resident, who lived overseas for a number of years, said they felt they were at home for the first time ever when they moved to Kendal- they no longer felt like outsiders. The sense of community and belonging is what really sets Kendal-Crosslands Communities apart. And it’s a big part of how we’ve been transforming the experience of aging for over 45 years.